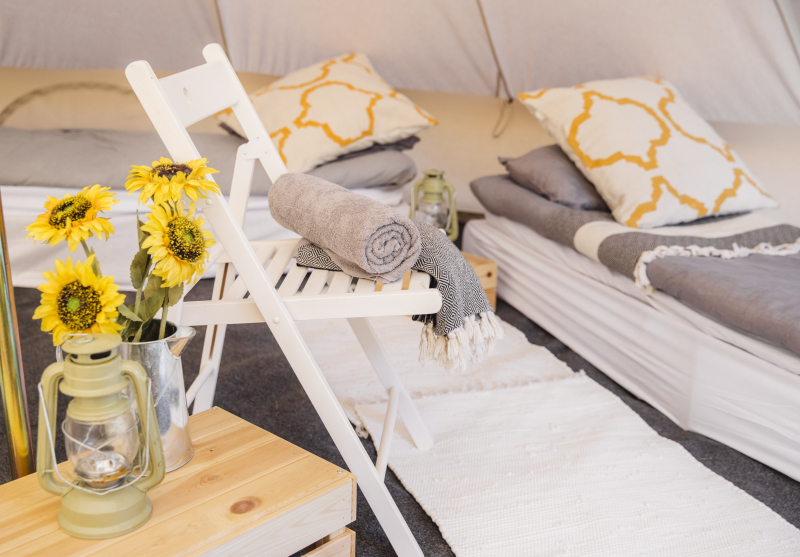 Fabulous 5m Bell Tent with zipped in groundsheet, metal framed beds with foam mattresses, duvets, bed throws, cushions, rugs, towels, lanterns, mirror, chairs and furniture. 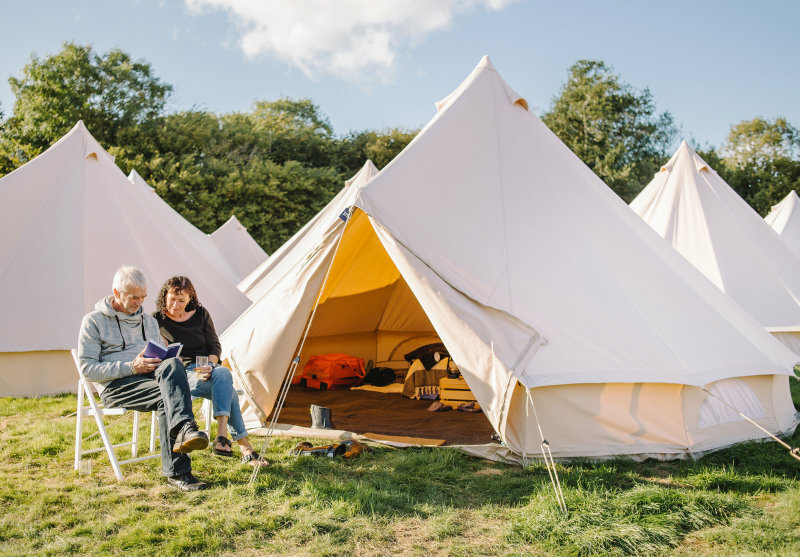 Luxury Bell Tents are available for 2, 3 or 4 people with any combination of double or single metal framed beds and foam mattresses. 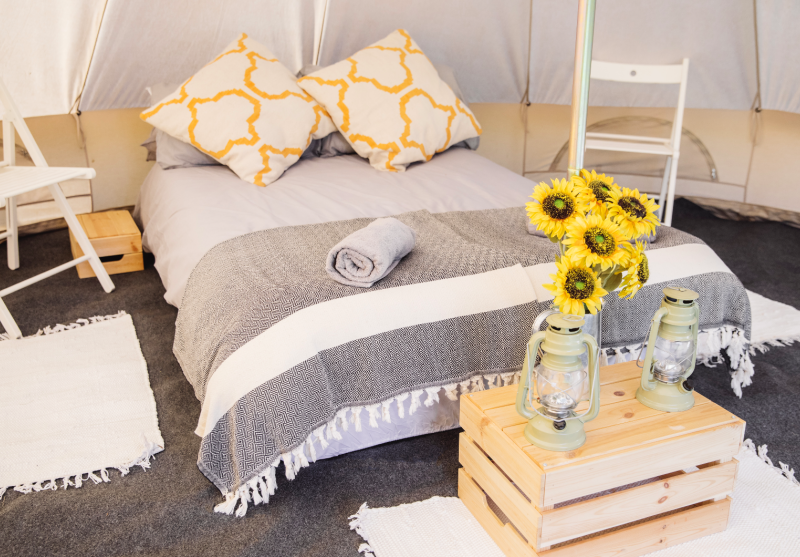 All Luxury Bell Tents are supplied with duvets, pillows, bed throws, scatter cushions and bath towels. Furniture includes metal framed beds and mattresses, a wooden table, bed side tables, chairs, a carpet and rugs. Mirrors, lanterns and a jug with flowers adds a splash of colour. All Luxury 5m Bell Tents are fitted with a zipped in groundsheet and carpet.